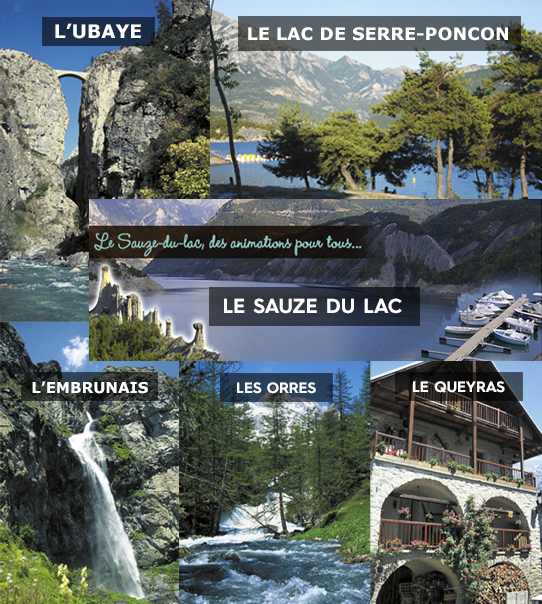 Located at Sauze du Lac, between the Ubaye (river) and the Durance (river), on the shore of the lake of Serre-Ponçon, La Palatrière campsite offers you the advantages of the proximity of the Alps, the Southern Alps and the Provence : from the lavender fields to the flowers of the Ecrins National Park. Come and discover our mountains bathed in sunshine, its torrents, its waterfalls and the old traditional villages that animate them. From Gap to Briançon, passing through Embrun and its historical center, you discover the beauty and diversity of the landscapes as well as the riches if a preserved heritage.